It’s nearly the halfway point in the Premier League, and the table has started to take shape. The usual suspects are at the bottom of the league, and for five or six teams it looks like being a tough slog throughout 2015 to try and grab the points to earn their Premier League status for another year. We’ve already backed Leicester to finish bottom of the table at a huge 20/1 21.00 +2000 20.00 20.00 -0.05 and they haven’t let us down so far, currently on a run of 9 defeats in 10 matches. They have amassed just ten points and are five adrift of safety. It would be a brave man that backs them to stay up at this stage, and the writing is on the wall for the Foxes. They aren’t being thrashed every week – most games have been lost by the odd goal – but they don’t have many goals in their team and have something of a soft underbelly, which is a lethal combination. The odds for relegation are understandably short, but look better value than a punt on them surviving. Hull have dropped into the bottom three recently, and are on a woeful run of form. They’ve only won two games all season, and are deep in trouble with just 13 points. Steve Bruce said at the start of the season that it was the best squad he’d ever had to work with, but the players just haven’t done the business on the pitch for him. The club appear to be at panic stations at the moment, with news of a rift between Bruce and long-serving defender Paul McShane. They’ve also recalled Manuel Figueroa and Tom Ince from their loan spells in the Championship, and the distress signals are firing out from Humberside. 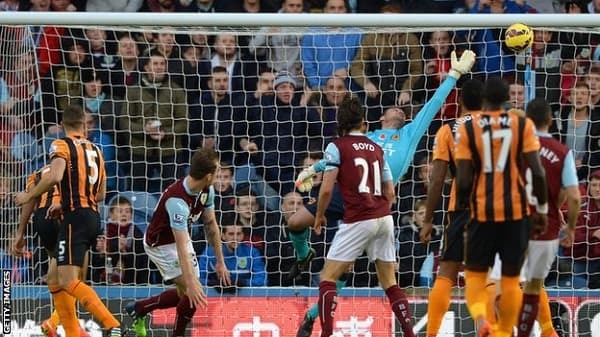 The bookies are all odds-on that Hull can stay up, but that doesn’t appeal in the slightest. The Tigers play away at Sunderland on Boxing Day, and can expect another defeat against a side finding their form. They’ve only scored twice in the last nine games which is a damning statistic, and that’s seen them draw 3 and lose 6 during that period. It’s a club on a downward spiral, and with infighting behind the scenes, the players may not have the stomach for a relegation scrap. Burnley have been favourites for relegation all season long, and it’s no surprise as Sean Dyche’s men looked to be the weakest squad in the division. However, they certainly are a team who are prepared to fight and scrap for survival, and that’s shown in a number of positive results in recent weeks. They’ve now reached 15 points, and are only in the drop zone on goal difference. They will be there or thereabouts for the whole season, but in Danny Ings they have got a striker who has shown he can be a threat in the Premier League, and he’s ably supported by Barnes and Boyd. They have a solid feel at the back, and haven’t conceded a bundle of goals. They have a live chance of surviving yet are quoted at the longest odds of the bottom six to stay up. Neil Warnock started fairly well when he took over from Tony Pulis at the start of the season, but the wheels have fallen off slightly at Palace, after a run of one win in eleven. They are in 17th place on 15 points, above Burnley by virtue of superior goal difference. In Zaha and Bolasie they have two very good wide players, but they need to produce the goods on a more regular basis. Young Gayle has done well to notch six goals this season, but they can’t rely on youth to pull them through, and Warnock has already indicated that he wants to bring in a ‘clinical’ finisher in January. They will probably have just about enough to stay up, but quotes of odds-on really don’t appeal. Harry Redknapp must be thanking his lucky stars that he’s got a goal scorer like Charlie Austin in his ranks, and it wouldn’t be a stretch to say that his goals will be the main reason QPR stay up. He helped himself to a hat trick on the weekend as Rangers overturned a 2-0 deficit at home to West Brom, and their continued good home form will be vital. They’ve been atrocious on their travels so far, losing all eight away games, and if that continues it could go right to the wire for them. However, they do have a bit of Premier League quality around the squad, and will probably have more money to spend than most in the January transfer window. Alan Irvine is another manager under pressure, and West Brom just don’t seem to be able to defend a lead at present. They were 1-0 up at home to West Ham, and 2-0 up away at QPR, yet managed to lose both matches. That’s a worrying sign for the Baggies, and they’ll be glad they’ve already amassed 17 points. Their home form is traditionally strong however, and that may just be enough to see them safe, although it promises to be a nervy six months.